The Rapture series of golf clubs from Ping debuted in the marketplace in late 2006 and included Rapture drivers, fairway woods, hybrids, and irons. This family of Ping products was considered a complement to the Ping G5 family that was also on the market at the same time. The calling card of the Ping Rapture series was the use of multiple materials - a "multi-material construction" in the parlance of club companies. Our original article about the Rapture series appears below. 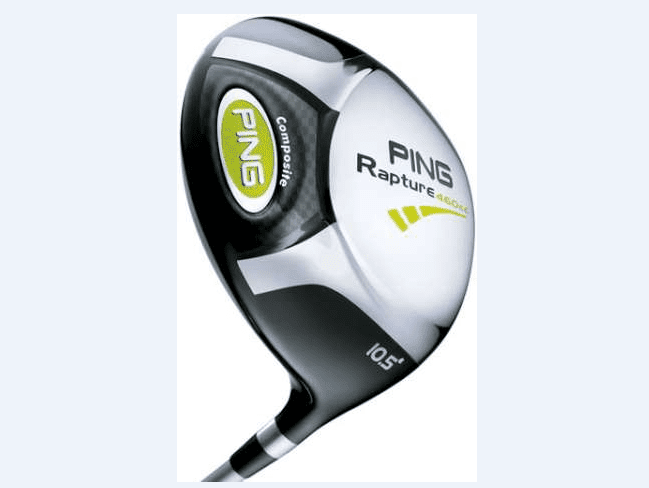 The original Rapture clubs were supplanted a couple years later by the Ping Rapture V2 family, which hit the market in late 2008. Neither the original nor the V2 versions are still in production today. Ping Rapture clubs can still be found available for sale (used) online today, including on Amazon.com offered by Ping itself - although the Rapture V2 clubs are more common, given that they are a couple years more recent than the original Ping Rapture clubs. We recommend consulting the PGA Value Guide to check on current trade-in and resale values of Ping Rapture (or any other) clubs you may be interested in purchasing used. Following is the original article we published at the time of the release of the first Ping Rapture line of golf clubs. Aug. 9, 2006 - Golf equipment manufacturers have been experimenting with construction materials for at least a century, often replacing a previous generation material with something new and improved. 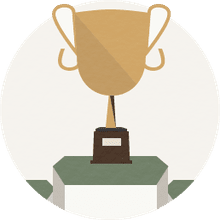 For example, replacing hickory shafts with steel shafts, then replacing those with graphite shafts; or replacing steel driver heads with titanium. These days, manufacturers often try a different tack: Not replacing one material with another, but rather, combining two or more different materials in the design process. Hence, we now have things such as steel-tipped graphite shafts, carbon-crown titanium clubheads, and tungsten-infused stainless steel irons. The multi-material approach is what Ping has taken with its newest offerings, which are intended as a complement to the G5 line. Titanium, stainless steel, carbon-composite, tungsten and elastomer compounds are used throughout the line. The new lineup of clubs is called Rapture, and the company certainly hopes its customers become enraptured with the Rapture driver, fairway woods, hybrids, and irons on offer. All of the clubs will begin shipping Sept. 1, 2006, and feature TFC 909 graphite shafts engineered by Ping and a new textured spiral grip. Ping's engineers put a Cray Supercomputer to use in the creation of the eye-catching Rapture driver. The supercomputer analyzed the crown to ensure structural integrity and performance, while acoustical engineering was also put to use to produce a solid, powerful sound. What's so eye-catching about the crown? It's a web-shaped titanium crown injected with lightweight composite, and that web is visible in the address position. The lightweight composite saved weight in the crown that was repositioned on the interior of the driver's head to further encourage a higher launch angle and lower spin. Many members of the Ping Tour staff have already added the Rapture driver to their bags. Eight were in play at the British Open and 15 at the Women's British Open. The Ping Rapture driver carries an MSRP of $475. Lofts of 9, 10.5 and 12 degrees are available. The Rapture Iron is a wide-soled, perimeter-weighted set that utilizes titanium, stainless steel, and tungsten in its composition. The Ping Rapture Irons are available in 2-9, PW, UW, SW, and LW. The standard shaft is the Ping TFC 909i. Steel shafts, including the PING CS-Lite, are also available. MSRP is $162.50 per iron with graphite shafts or $140 per iron with steel shafts. The materials going into the construction of the Rapture Hybrids: 17-4 stainless steel in the body, tungsten nickel in the sole plate and 475 super steel in the clubface. That very thin super steel face is what makes the tungsten sole plate possible, and the tungsten plate moves the center of gravity lower and deeper to make launching the ball easier. A sloped crown, first used by Ping in the G5 hybrid, also enhances launch and spin characteristics. The Rapture Hybrids are available in lofts of 18, 21 and 24 degrees. The standard shaft is the PING TFC 909H. The Aldila VS Proto 80 Hybrid is also a standard offering in the Rapture Hybrids. Steel shafts, including the PING CS-Lite, are also available. MSRP is $225 per club with graphite shafts or $195 per club with steel shafts. Here's a club where the multi-material approach wasn't taken. The Rapture Fairway Woods are 100-percent titanium. They feature large clubheads with thin, machined faces, plus an internal weight pad positioned directly below the center of gravity to increase launch angle and reduce spin. The Rapture fairway woods are available in 3, 5 and 7 woods. The standard shaft is the Ping TFC 909F. The Aldila VS Proto 85 Fairway is also a standard offering in the Rapture Fairway Woods. MSRP is $350 per club.